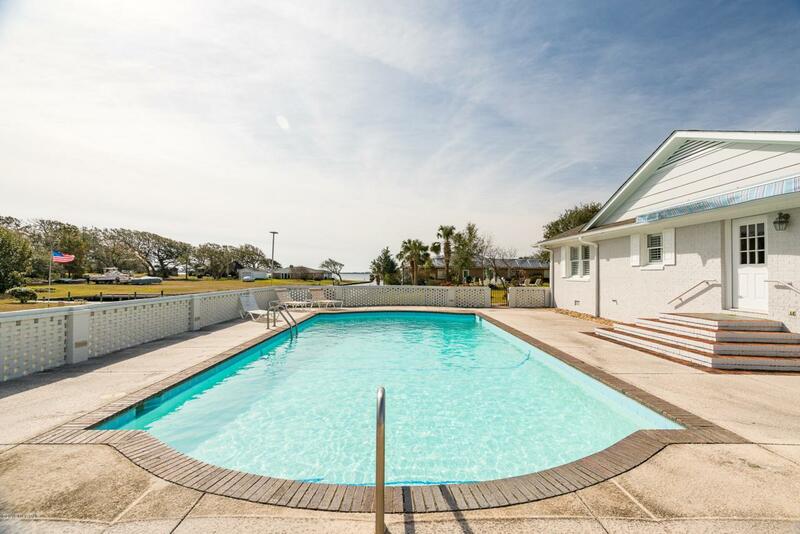 Canalfront ranch on 3 lots in Sound View Park with an in-ground swimming pool and a basement. 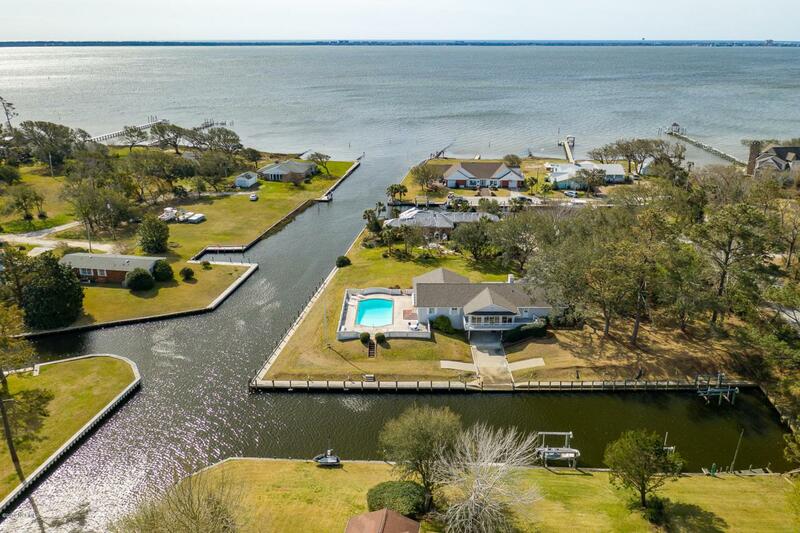 Great place to live the coastal lifestyle with easy boating access to Bogue Sound. 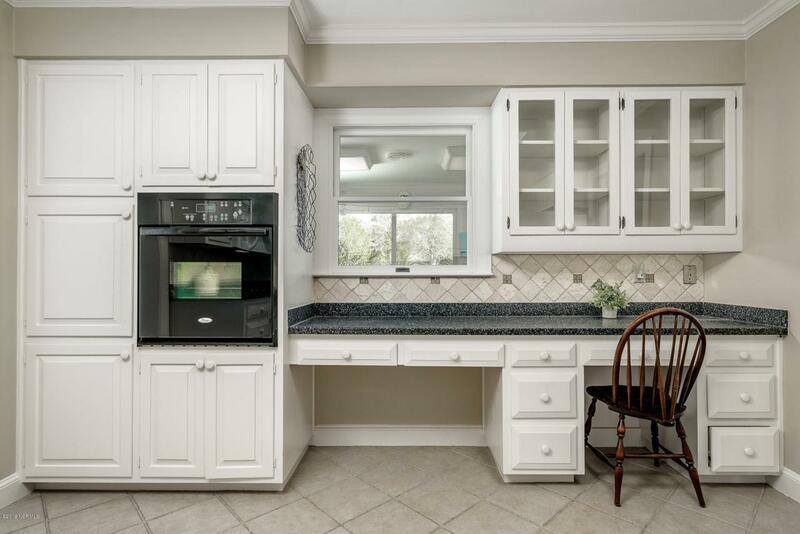 Three bedrooms, two full baths, living area with fireplace and built-in bookcases, dining and kitchen area. 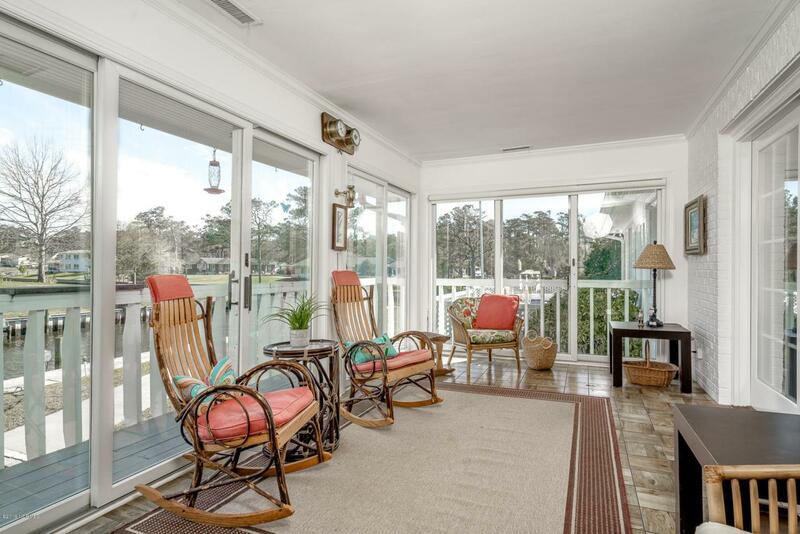 Enclosed sunporch and decking, fenced pool area, bulkhead, boat dock with 10,000 lb boat lift, water and electric. Two-car attached garage and utility/storage. Quality schools: Croatan High School district. Note: boat ramp for members of the HOA which is a voluntary association.